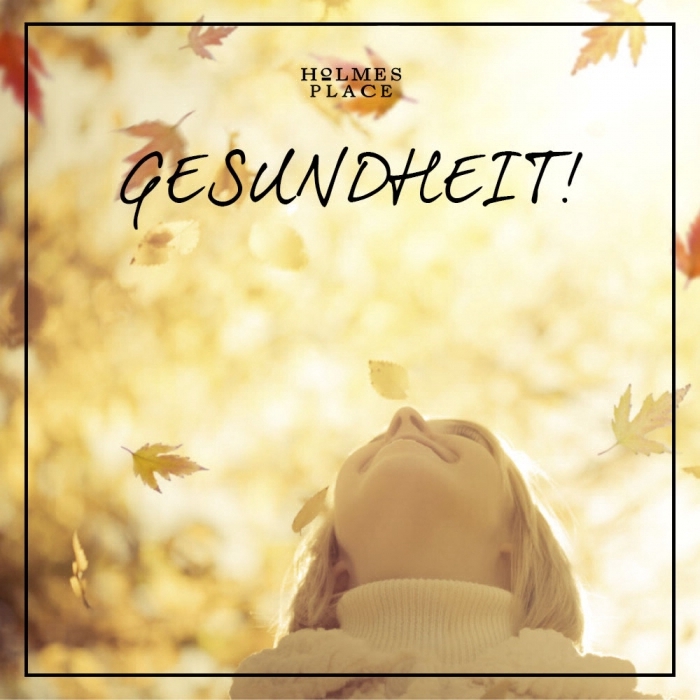 Long, warm shadows, kicking up fallen leaves, snuggly pullovers… autumn means so many wonderful things - but it also means sniffle season is on its way. To keep those cold viruses at bay this winter, follow our top tips to nip those nasties before they take hold. The biggest germ-buster is simply washing your hands. Warm water and soap - used thoroughly - will do the trick, but if you can’t get to a sink, a few squirts of hand sanitizer are a great substitute. A word of warning though - don’t undo all that good work by using a shared towel in a public place. Paper towels or hot air dryers are just as effective - and they’re not a breeding ground for germs. Public transport is notoriously germ-ridden: some people resort to wearing gloves on the bus or train, but if you don’t want to go to such lengths, keep an antiseptic spray in your purse or pocket, to give your hands a quick spritz. Similarly, antiseptic wipes are a godsend if you think a surface has been exposed to germs (atchoo!). Even if you haven’t caught John from accounts coughing all over your desk, it’s probably a good idea to disinfect your phone and keyboard once a week anyway. Another top tip is to carry your own pen. Not only to sign paperwork, but you can also use it to tap the keys at the cash machine and avoid yet another potential cold-carrier. There are also a couple of clever tips when it comes to the gym. Pop a clean towel down on a bench or mat, before you sit on it and for equipment you do need to touch - cross-trainer handles, for example - treat them to a quick antibac wipe first. Talking of the gym, exercise is a brilliant way to boost your immunity and stave off those pesky germs. A study by Dr David Nieman and colleagues at Appalachian State University found that ‘exercise is probably the most powerful thing you can do to reduce your sick days this winter’. He discovered that a brisk 30 - 45 minute walk increases the number of immune cells in the body and said regular aerobic exercise, five or more days a week for more than 2o minutes a day could lower sick days by a huge 40%. Herbal remedies such as echinacea, goldenseal and zinc are often touted as great virus-beating supplements, but the concrete medical evidence is thin on the ground. If you find they work for you, go for it. They certainly won’t do you any harm. Others swear by mega doses of vitamin C if you feel you’ve been exposed to germs, completed particularly strenuous exercise or been in extremely cold weather. The healthiest way of boosting your intake is to juice or blend lots of vitamin C-packed fruit and vegetables, including broccoli, apple, parsley, lemon, orange - whatever you fancy. The Common Cold Centre at Cardiff University recommends munching garlic to fight infection. Whether that’s because you’ll smell so much no-one will come near you with their filthy germs remains to be seen. As your mum always told you, wrapping up warm is very important in fighting the bugs. Cardiff University’s Professor Ron Eccles has published a study that suggests covering your scarf with a nose in cold weather could pay dividends. He found that viruses that multiply in the cells that line the nose breed faster when the cells are cool. Hot drinks with lemon and honey not only treat the symptoms of a cold, they also stimulate the hair follicles in your nose to expel the germs more efficiently. Plus of course, honey has well-known antibacterial qualities, while lemon is good for thinning nasty mucus. Another ‘old wives tale’ that turns out to have some proper credentials is good old chicken soup. As well as the vapour easing and stimulating those blocked noses researchers have now discovered that the ingredients in chicken soup do, truly, have a medicinal effect on cold viruses. It looks like your granny was right after all - eat right, keep fit and wash your hands and you should stay fighting fit until spring.